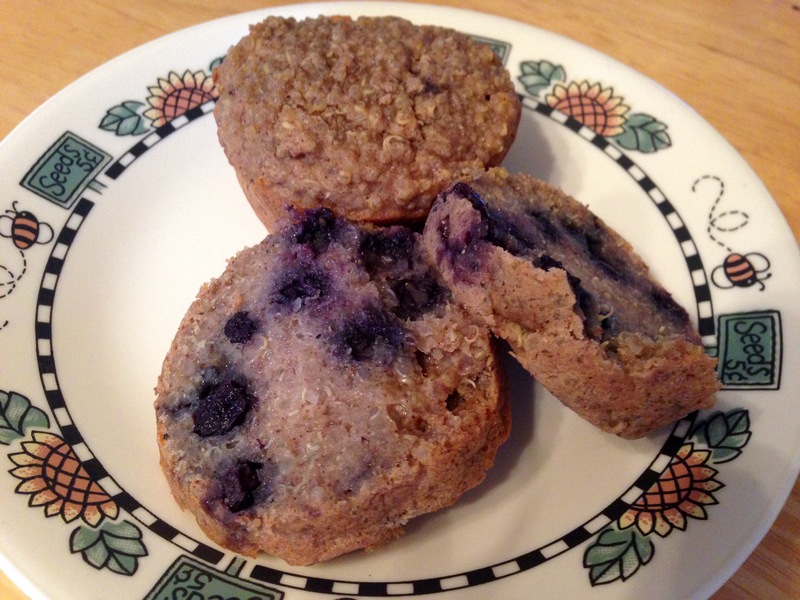 Here’s a satisfying muffin recipe that adds a punch of protein with the quinoa. Gluten-free if you use gluten-free oat flour. Almond milk can be replaced with regular milk, and brown sugar can be replaced with white or coconut sugar. 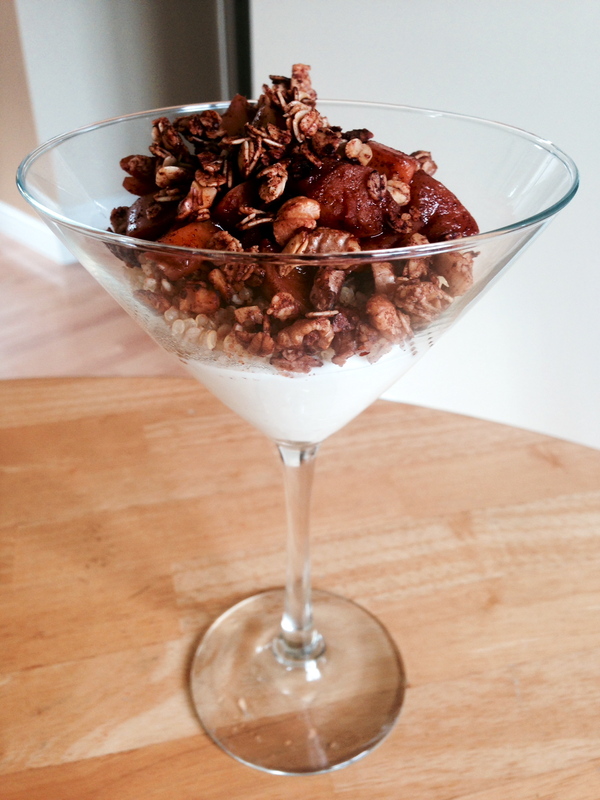 Freezes well and makes a great stand alone breakfast or a post-workout snack. On a damp, raining fall day, there’s no better way to warm the soul then to spend it cooking and baking with fall fresh apples, pumpkins and squash . 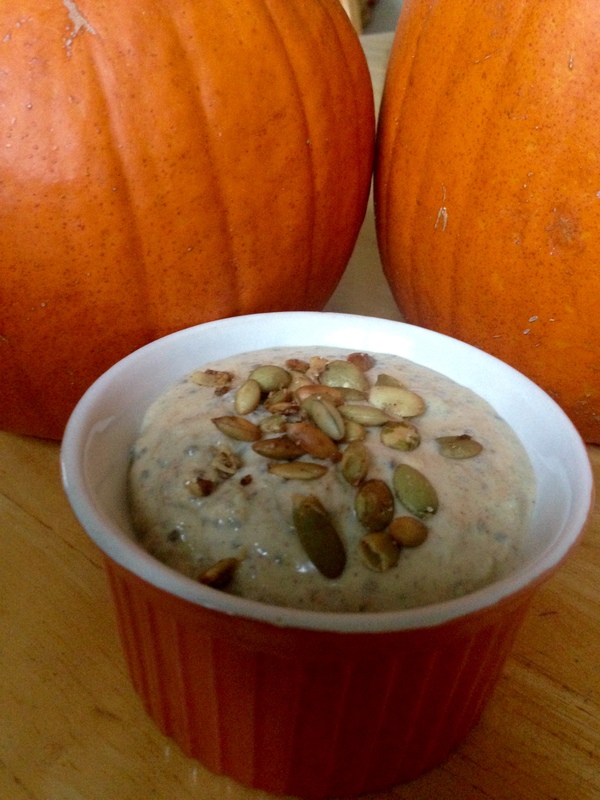 I spent the better part my Saturday roasting a few sugar pumpkins, then pureeing it using an immersion blender to make soups, muffins and scones. Had a little leftover so tried adding it to a chia seed pudding in place of fruit for a fall twist on one of my favourite breakfasts. 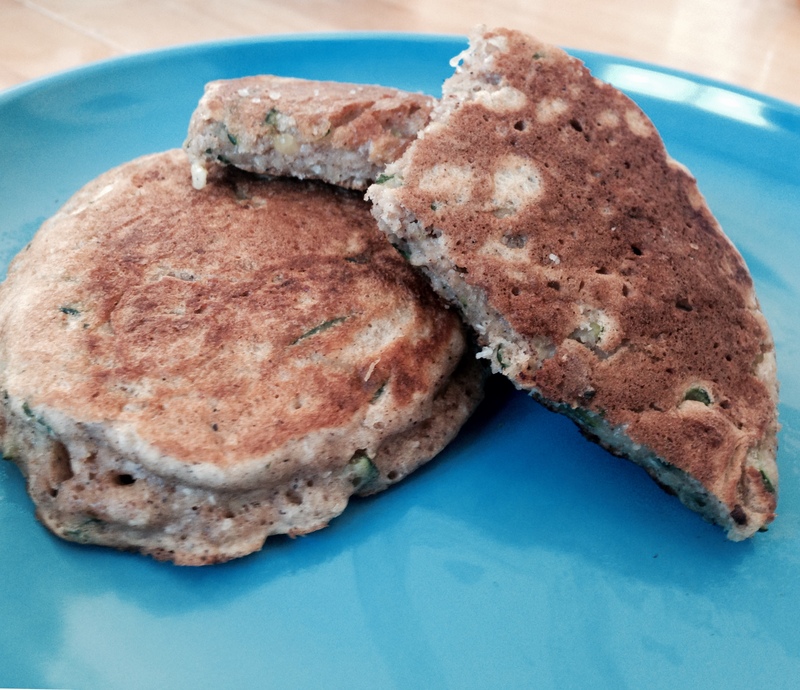 A great brunch idea that reheats perfectly the night day for a quick week-day breakfast. 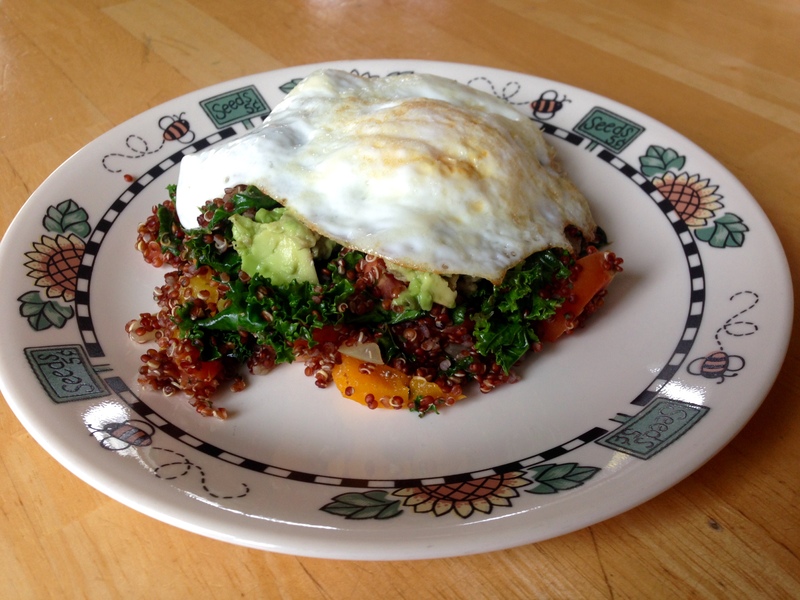 Top with a fried or poached egg, or scramble your eggs and combine with kale & quinoa stir fry. 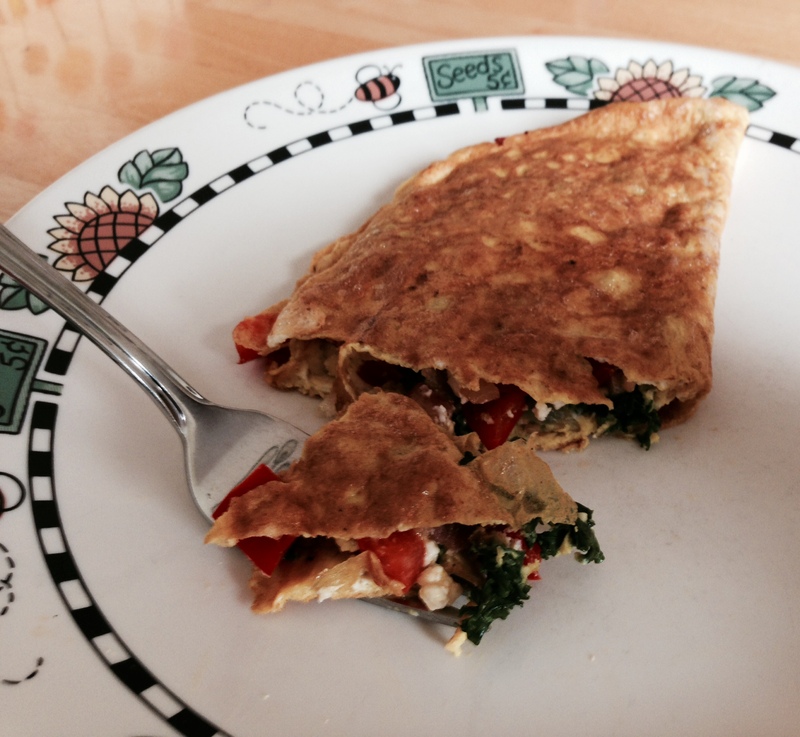 Here’s a delicious way to incorporate some greens into a breakfast favourite! I love making this recipe on the weekend! The leftovers make a great recess/coffee break (pictured below) or layer it twice for a protein-filled breakfast on the run during those busy back to school/work weeks. Enjoy with a drizzle of honey, some raisins or on its own! Here’s a quick, hardy brunch idea to add more greens to your diet. You can play around with the flavours by switching feta to cheddar (which I did for someone who doesn’t like feta) and omitting the bacon if you’re a vegetarian. 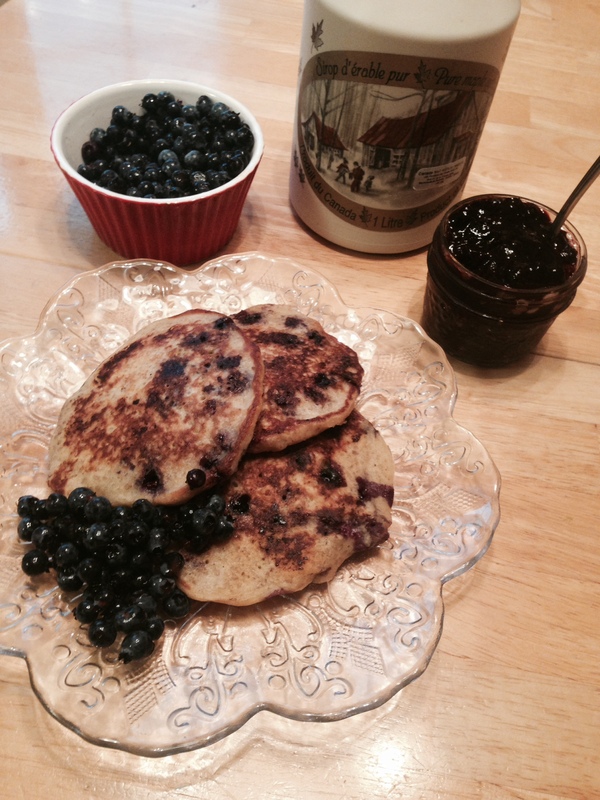 It’s blueberry season in Newfoundland so here’s a great pancake recipe that will leave you feeling satisfied for hours. Serve with maple syrup, homemade blueberry jam or fresh berries. In a large bowl, combine apple sauce, milk, vanilla, butter and 1 and a half egg yolks. Stir until combined. Beat egg whites until small peaks form. Transfer this to batter and stir until just combined. The key is not to over mix. Finally, add cooked quinoa & berries and stir until just combined. Heat a cast iron fry pan with oil and spoon batter using 1/4 cup measuring cups.